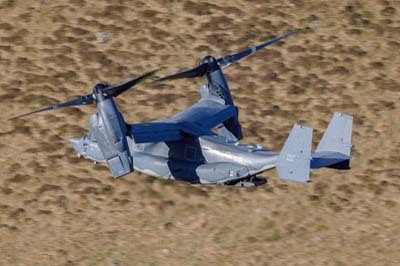 Canon EF 400mm f2.8 L IS Mk II, Canon EF 300mm f2.8 L with and without a x1.4 extender Mk III and a Canon EF 70-200mm f2.8 L IS). 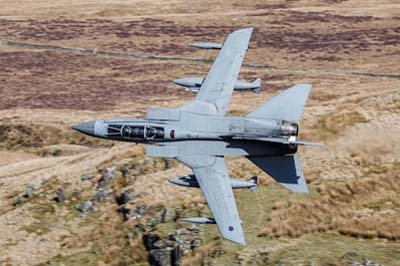 Monday April 30, 2018 Sheltering from a north easterly, 'Monster Formation' was picked up, consisting 'Monster 01' and '0'3 with 'Monster 02' running behind by 24 minutes probably due to technical problems at RAF Marham. 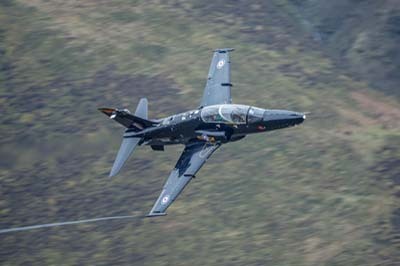 Shortly after 'Stryx 23' flew the Loop twice. 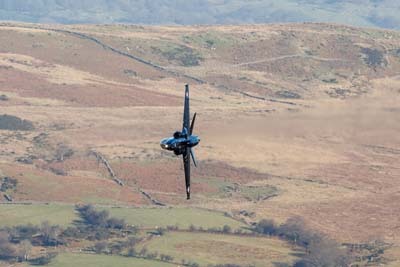 Running out to see and re-entering the Loop up the Dovey estuary their circuit took 12 minutes. 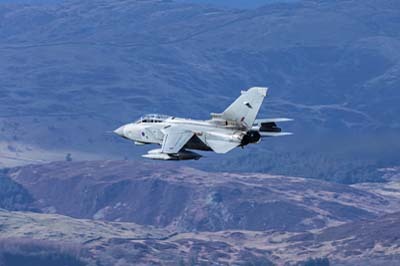 Left to right: Tornado GR.4 (ZA588 '056') using callsign 'Monster 01'. 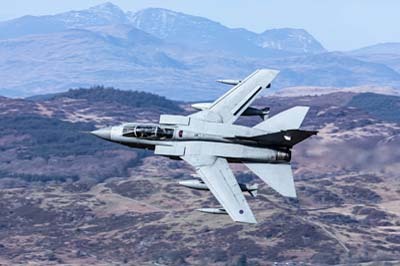 Left to right: Tornado GR.4 (ZA614 '076') using callsign 'Monster 03'. 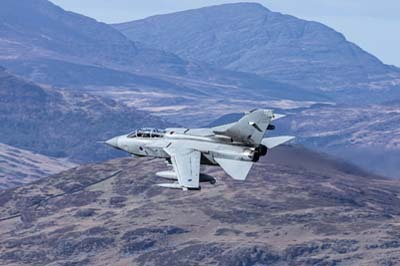 Left to right: Tornado GR.4 (ZA591 '058') using callsign 'Monster 02'. 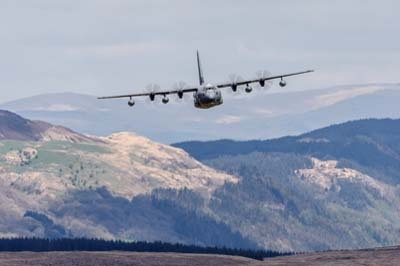 Left to right: MC-130J Hercules (12-5760) using callsign 'Strix 23' with 67th SOS, 352 SOW based at RAF Mildenhall. 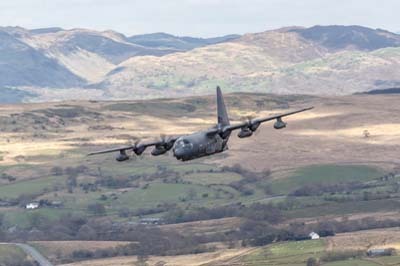 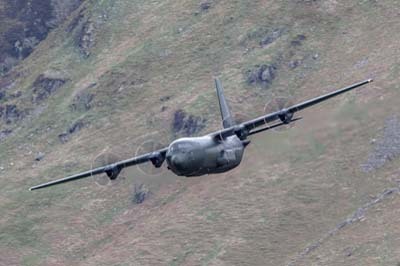 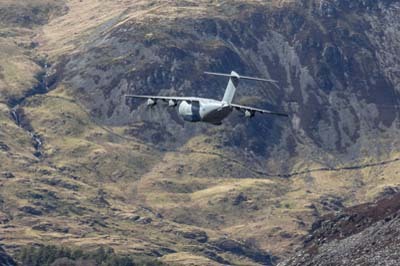 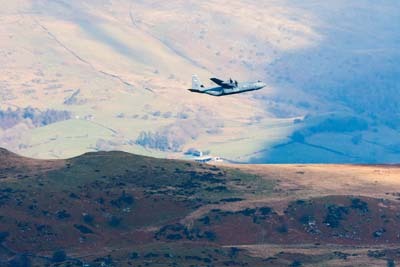 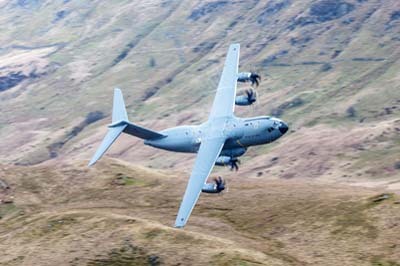 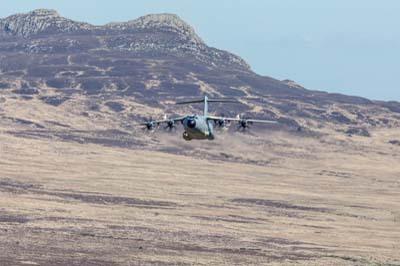 Left to right: C-130J Hercules C.5 (ZH889) using callsign 'Ascot 210' of 30 Squadron it came through at around 500 feet. 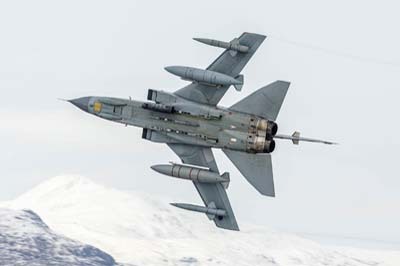 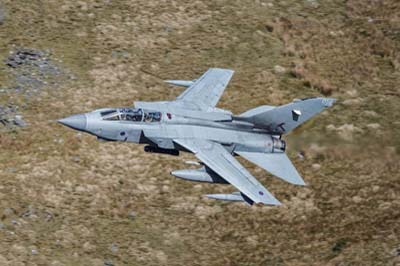 Tornado GR.4 (ZA607 'EB-X') in its former 41 Squadron markings using callsign 'Marham 41'. 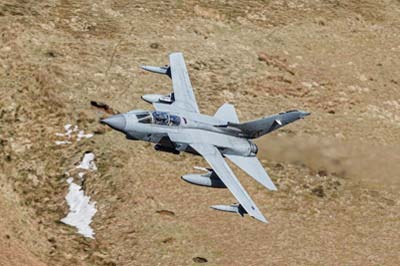 Left to right: Tornado GR.4 (ZA607 'EB-X') in its former 41 Squadron markings using callsign 'Marham 41'. 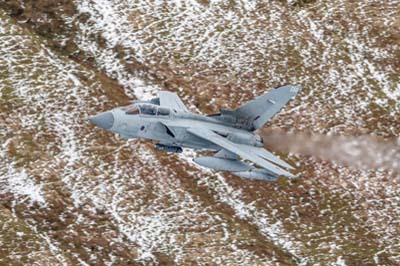 Left to right: Tornado GR.4 (ZA543 '-') using callsign 'Marham 26'. 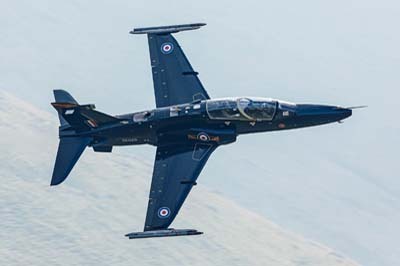 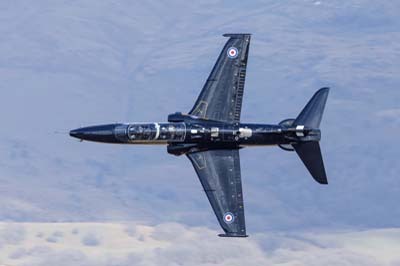 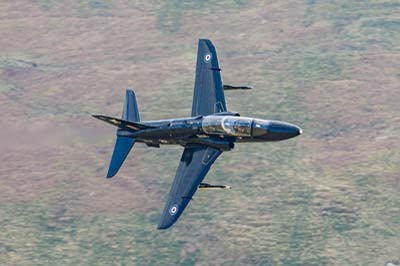 Left to right: Hawk T.2 (ZK027 'R') of 4(R) Squadron. 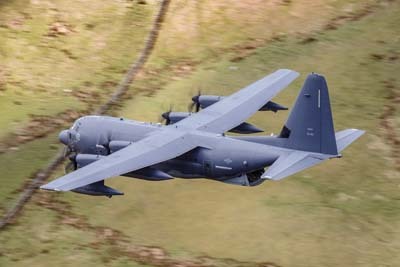 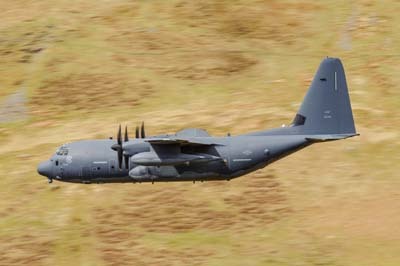 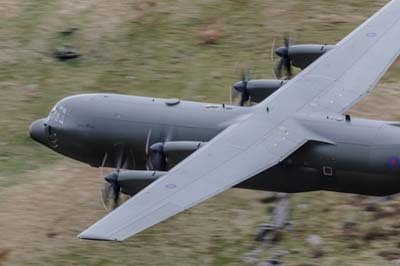 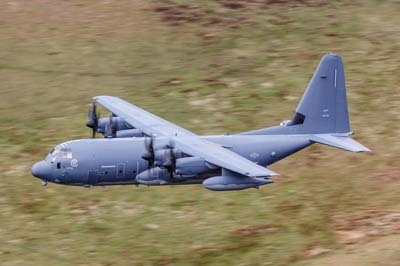 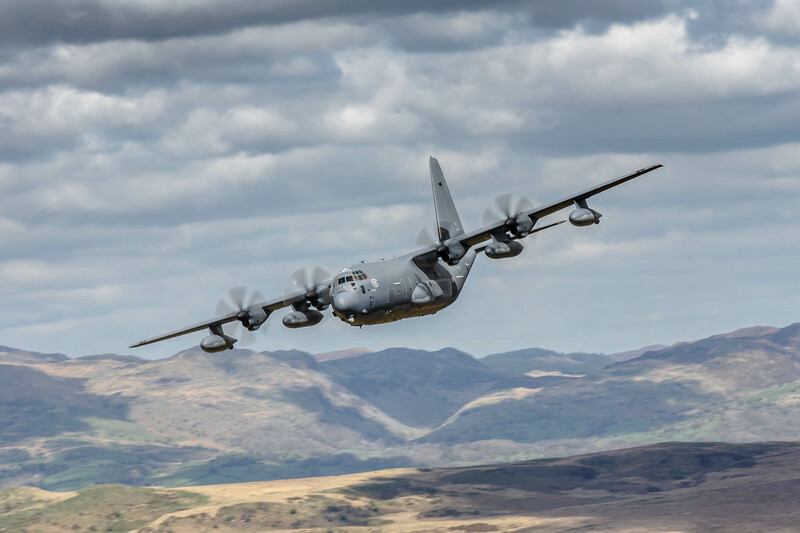 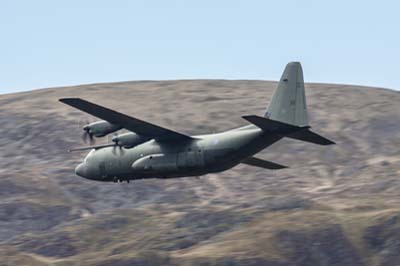 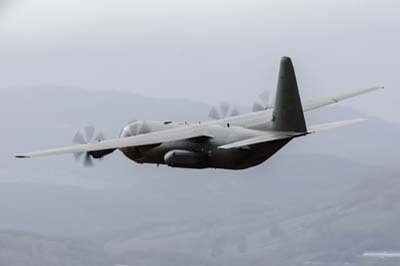 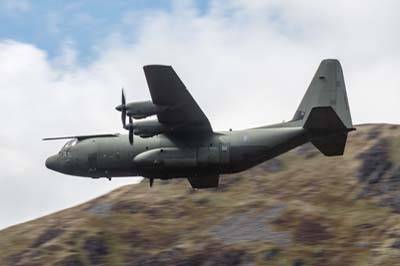 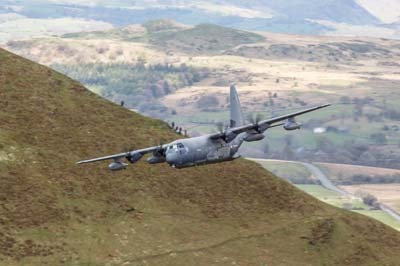 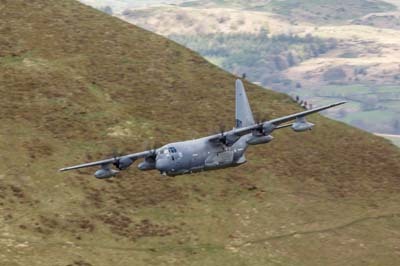 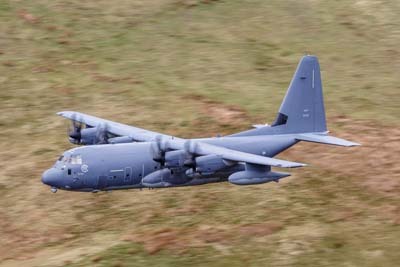 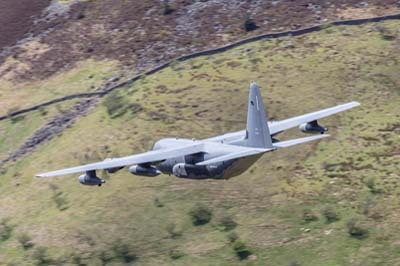 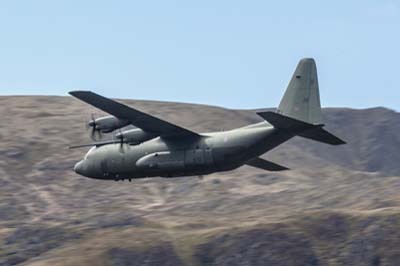 Wednesday April 25, 2018 A short two hour visit to the Bwlch for just this C-130J Hercules. 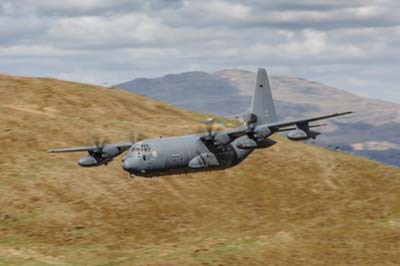 Left to right: C-130J-30 Hercules C.4 (ZH865) of 30 Squadron. 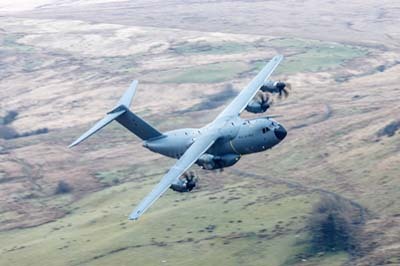 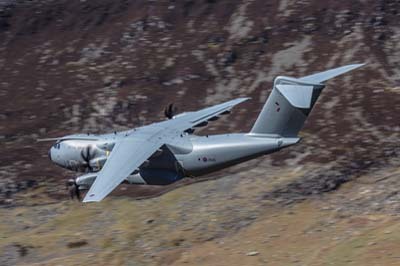 A400M Atlas C.1 (ZM416) using callsign 'Comet 456' it is with 70 (LXX) Squadron. 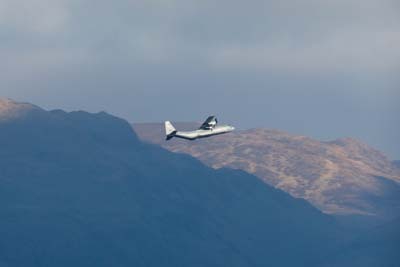 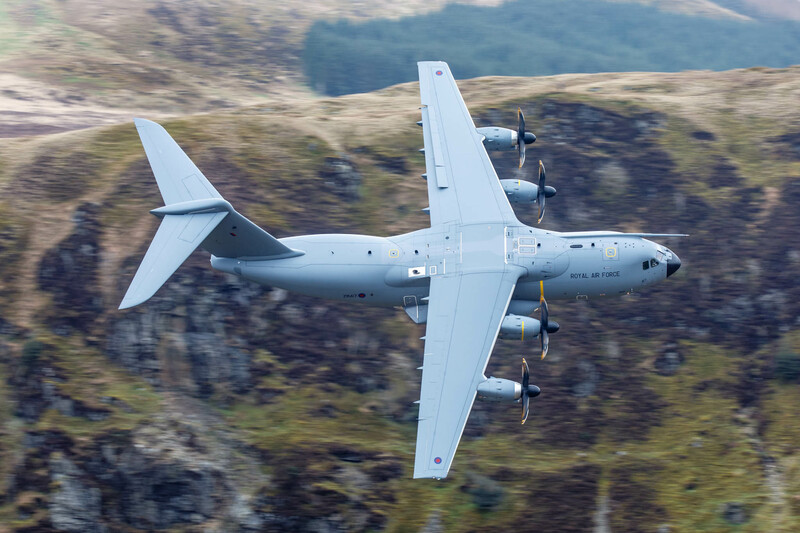 Thursday April 19, 2018 Two days in the pass and this A400M was the only low flyer I was able to catch. 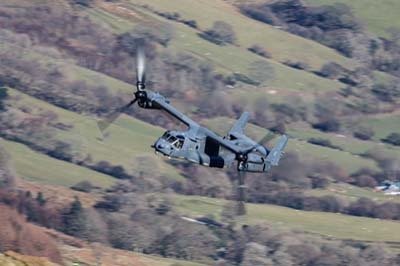 I used a 400mm, then switched to a 70-200mm as it got too close and then reverted to the 400mm.....not the best of decisions I suspect. 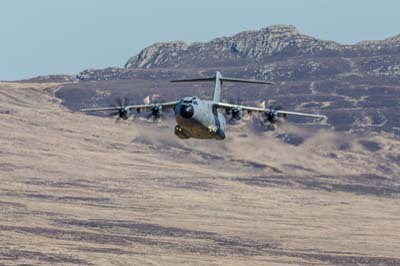 Left to right: Airbus A400M Atlas C.1 (ZM416) using callsign 'Comet 456' it is with 70 (LXX) Squadron. 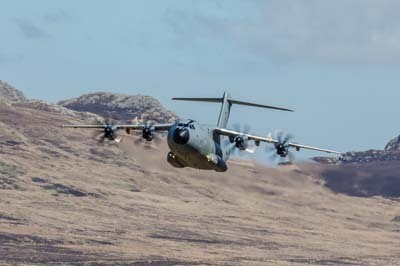 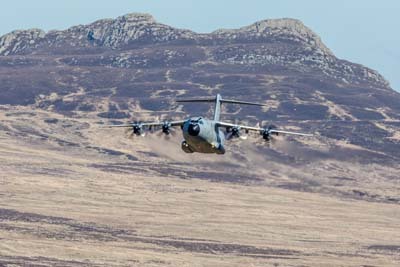 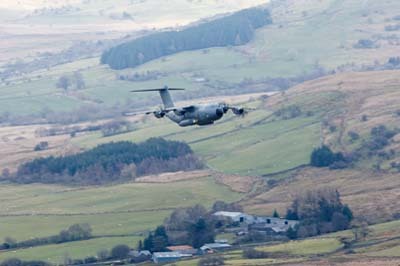 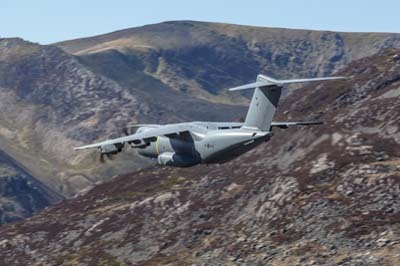 Left to right: A400M Atlas C.1 (ZM416) using callsign 'Comet 456' it is with 70 (LXX) Squadron. 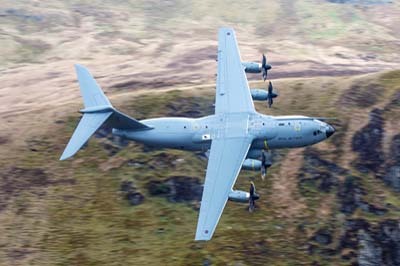 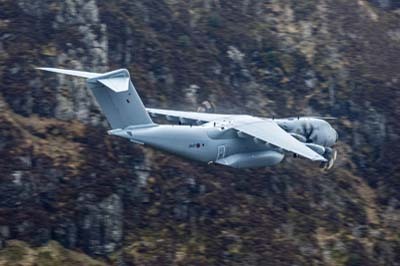 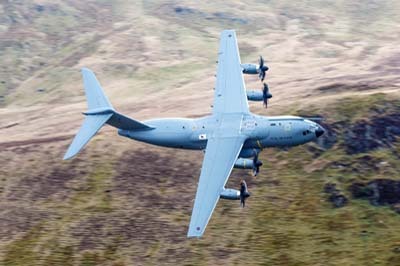 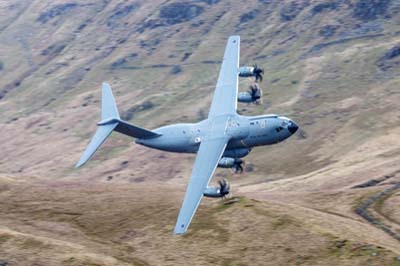 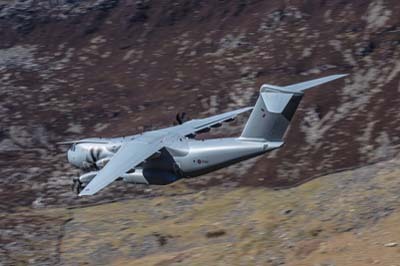 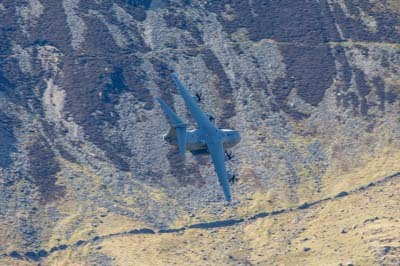 A400M Atlas C.1 (ZM417) using callsign 'Comet 456' it is with 70 (LXX) Squadron. 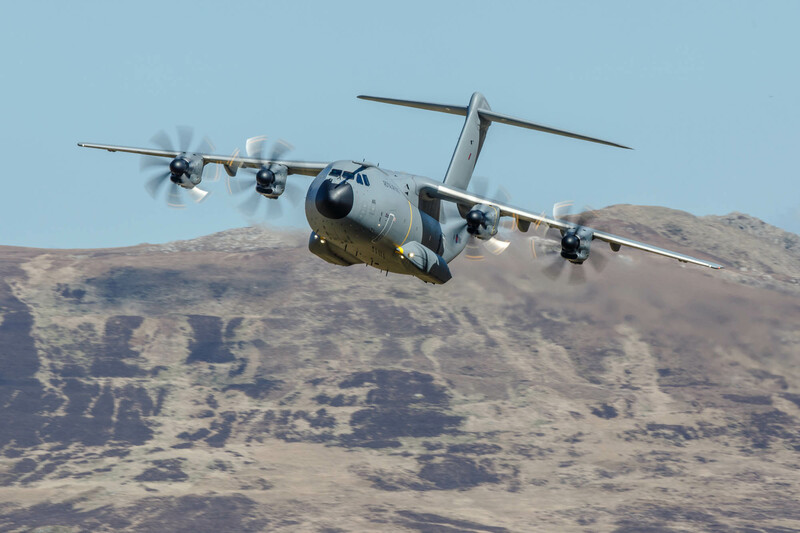 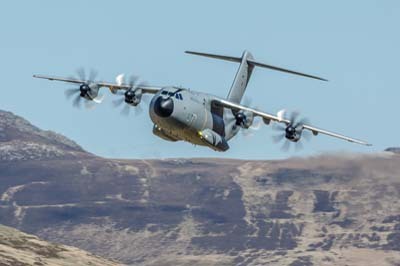 Tuesday April 10, 2018 A miserable day with low cloud and drizzle that only clears by mid-afternoon when this A400M appears. 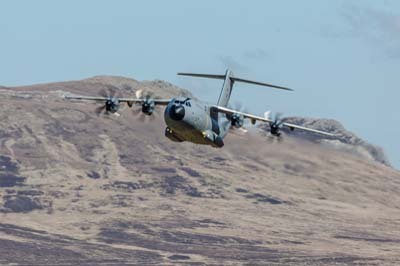 Left to right: Airbus A400M Atlas C.1 (ZM417) using callsign 'Comet 456' it is with 70 (LXX) Squadron. 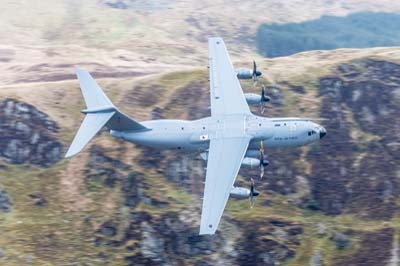 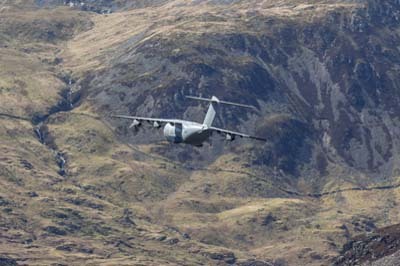 Left to right: A400M Atlas C.1 (ZM417) using callsign 'Comet 456' it is with 70 (LXX) Squadron. 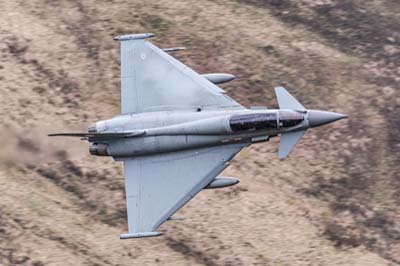 Tuesday March 13, 2018 Some good light on the Exit and three Tornado passes, the long sought after Bae Systems Typhoon and two passes from the Osprey to make this one of the better days of the year so far. 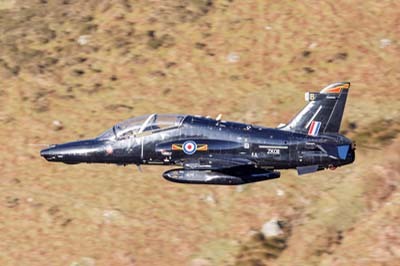 Left to right: Hawk T.2s (ZK014 'E', ZK036 'AA' and ZK022 'M') of 4 Squadron having or about to lose its Reserve status. 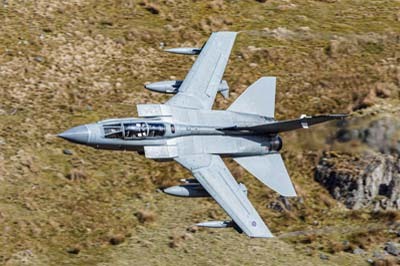 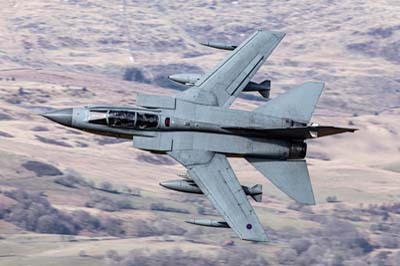 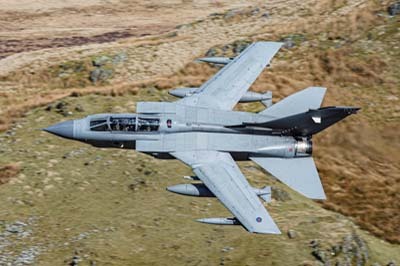 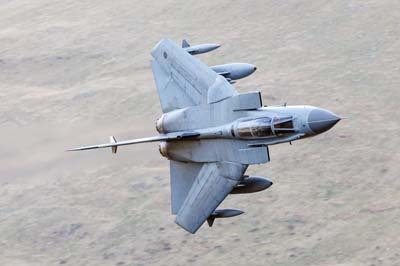 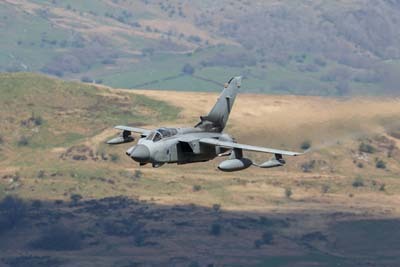 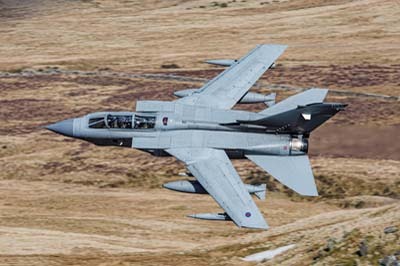 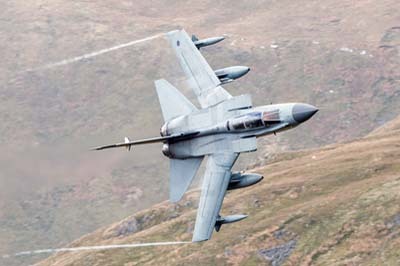 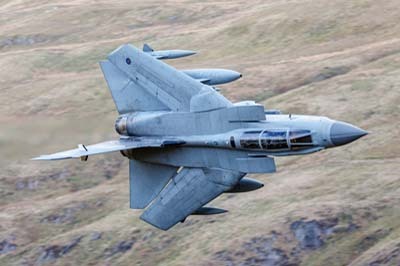 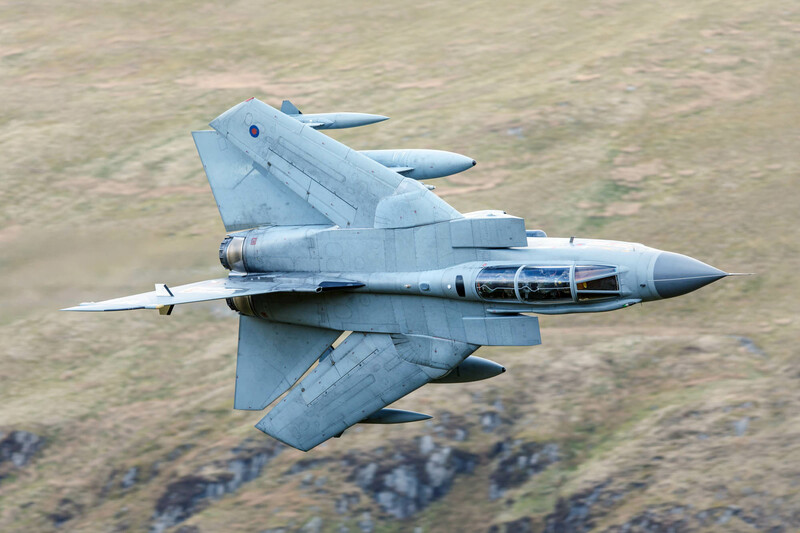 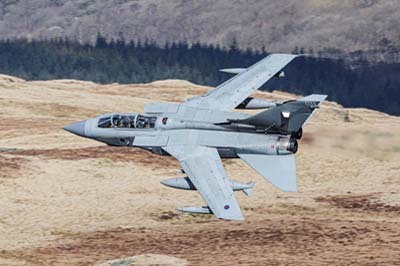 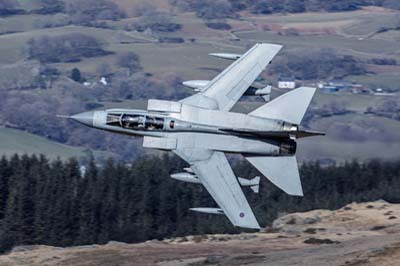 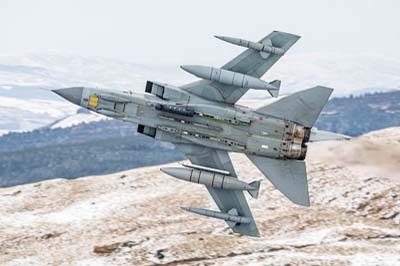 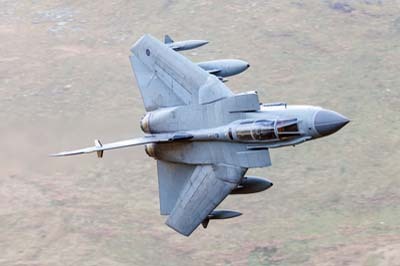 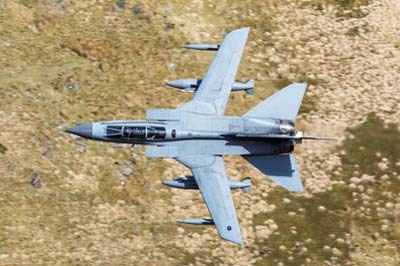 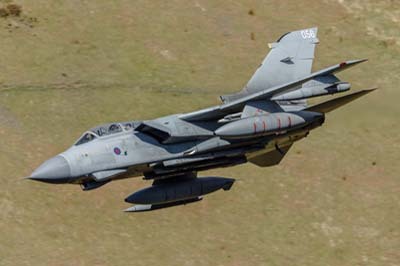 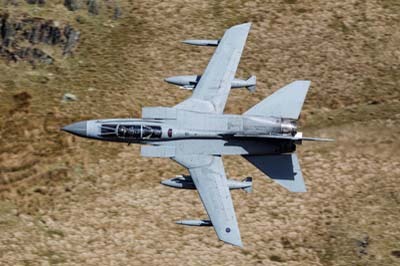 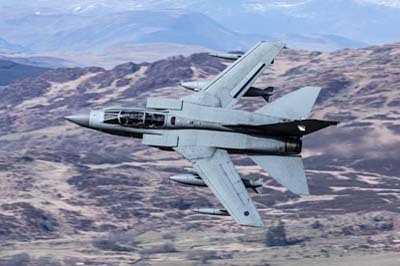 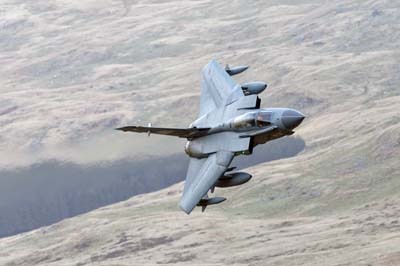 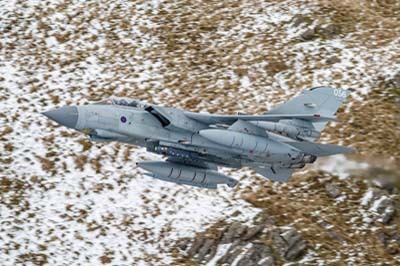 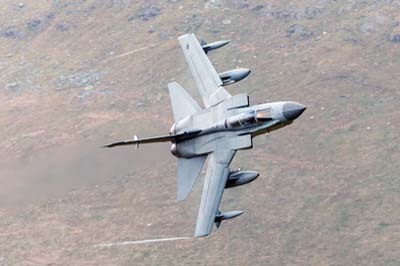 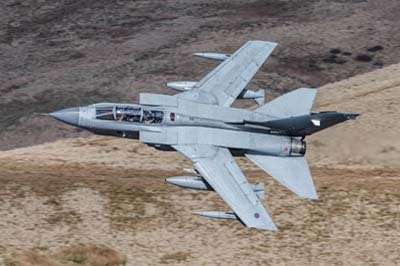 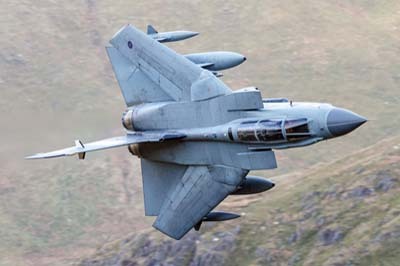 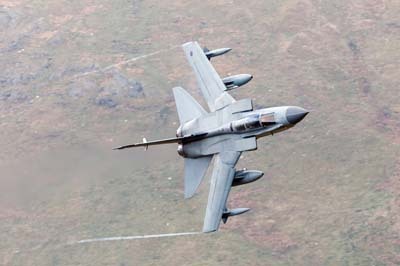 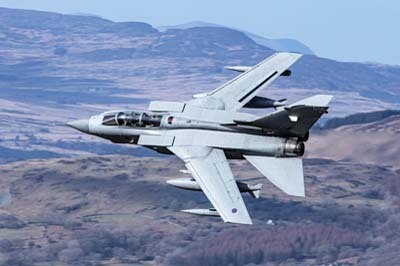 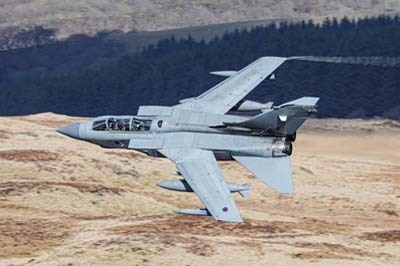 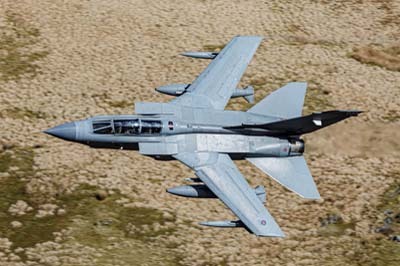 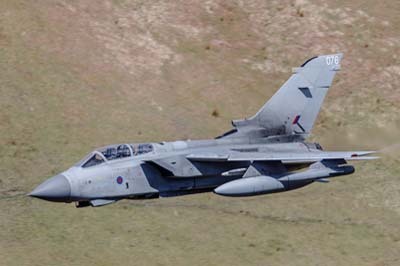 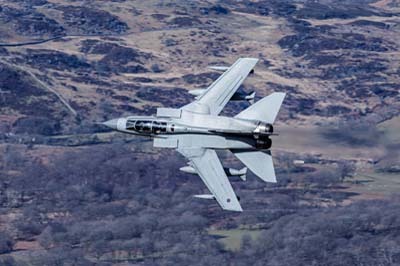 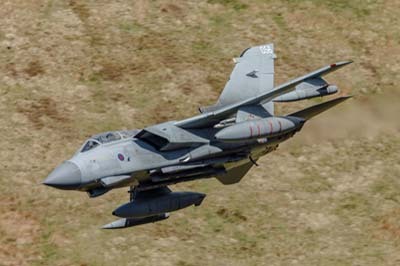 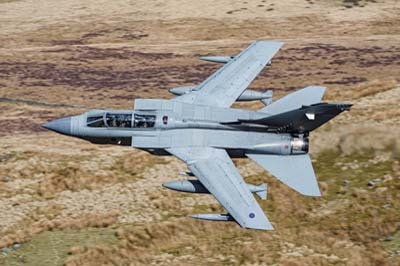 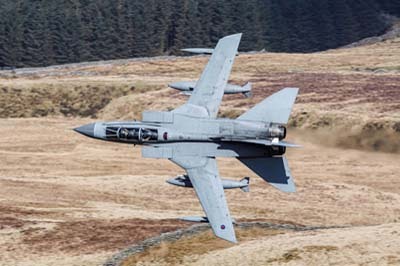 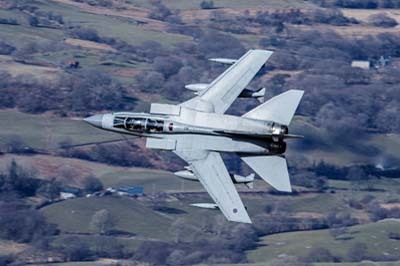 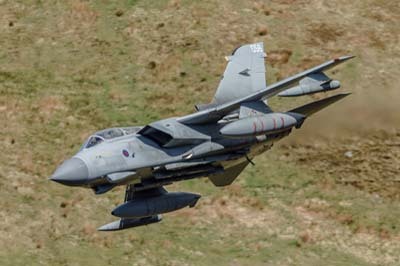 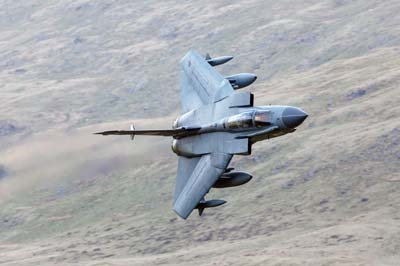 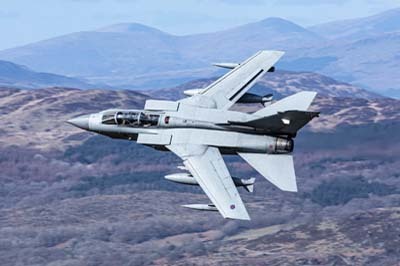 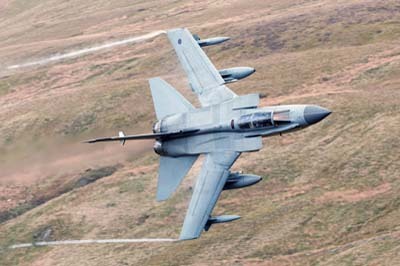 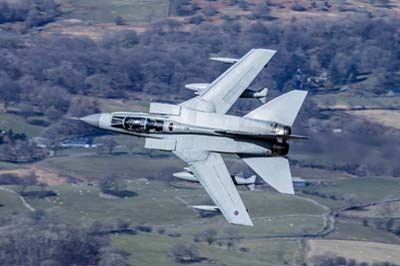 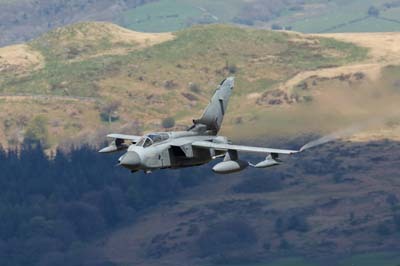 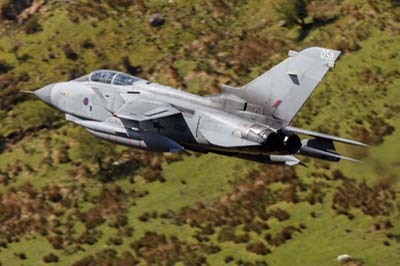 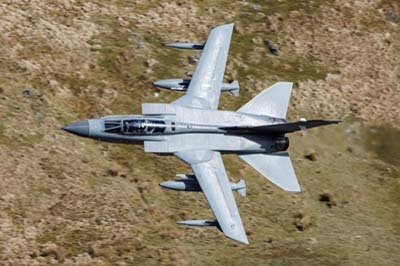 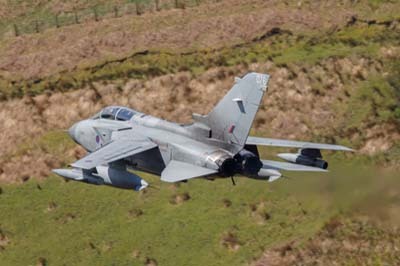 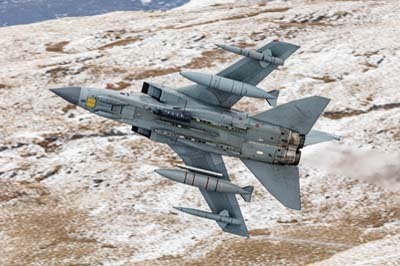 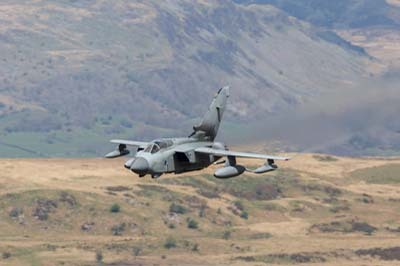 Left to right: Tornado GR.4 (ZA591 '058') using callsign 'Monster 01' unusually utilising a wing sweep angle of 25 degrees. 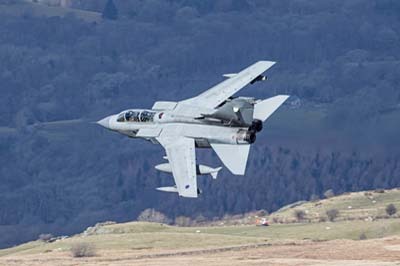 Left to right: Tornado GR.4 (ZA591 '058') using callsign 'Monster 01'. 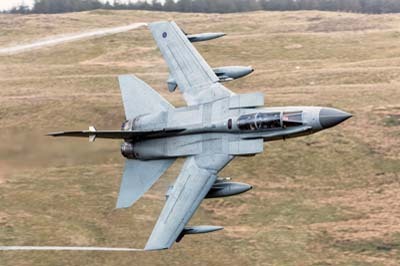 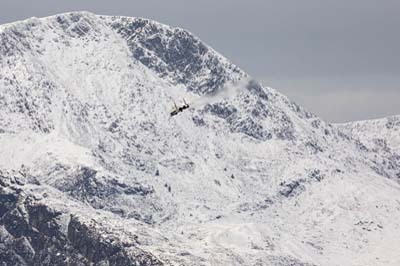 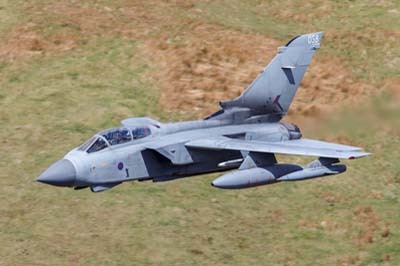 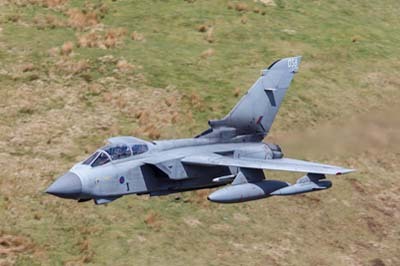 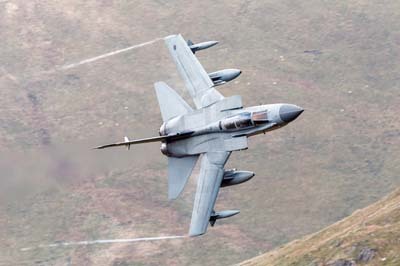 Left to right: Tornado GR.4 (ZA542 '035') using callsign 'Monster 02' utilising a wing sweep angle of 45 degrees. 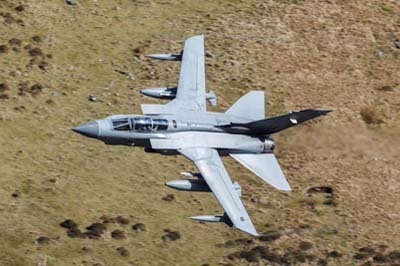 Left to right: Tornado GR.4 (ZA542 '035') using callsign 'Monster 02'. 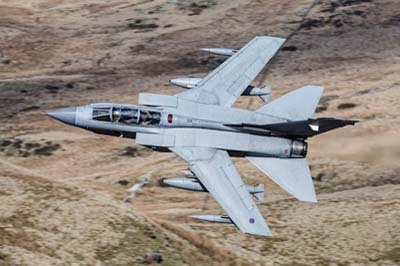 Left to right: Tornado GR.4 (ZA588 '056') using callsign 'Marham 74'. 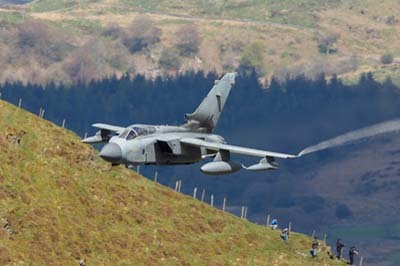 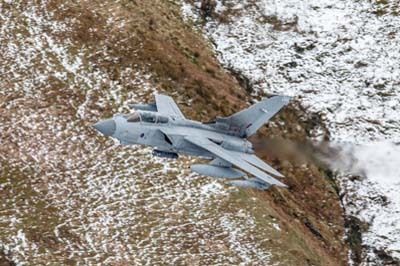 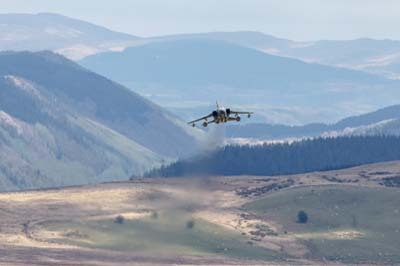 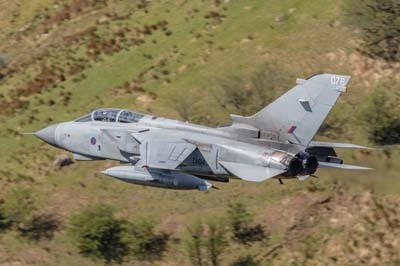 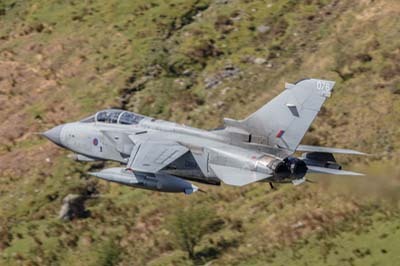 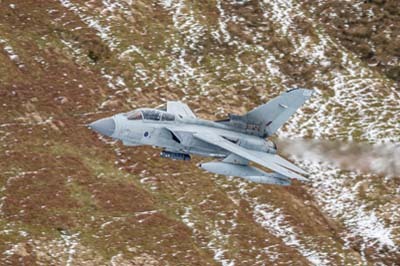 Left to right: Tornado GR.4 (ZA588 '056') on its second pass. 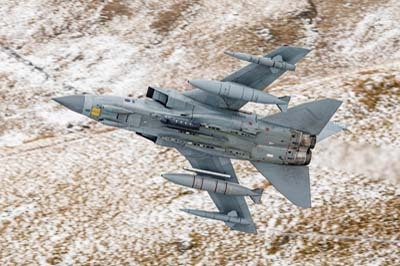 Left to right: Tornado GR.4 (ZA588 '056'). 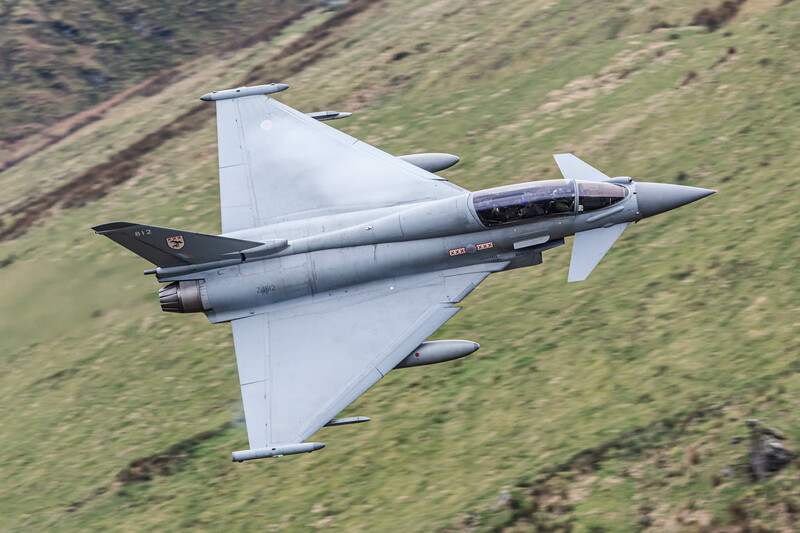 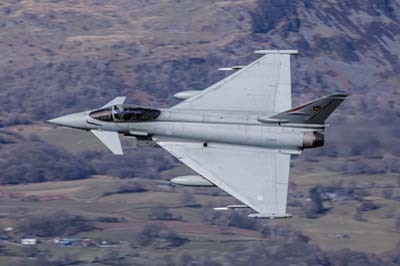 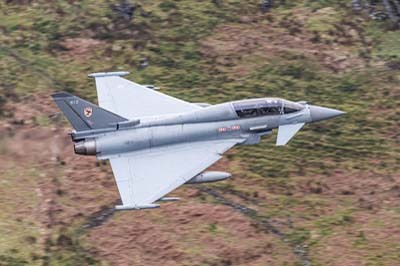 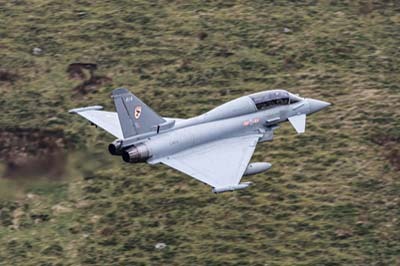 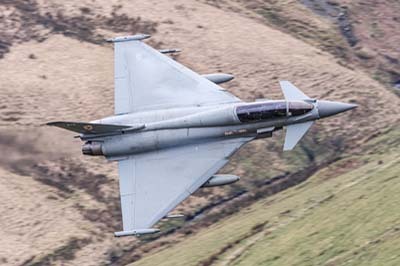 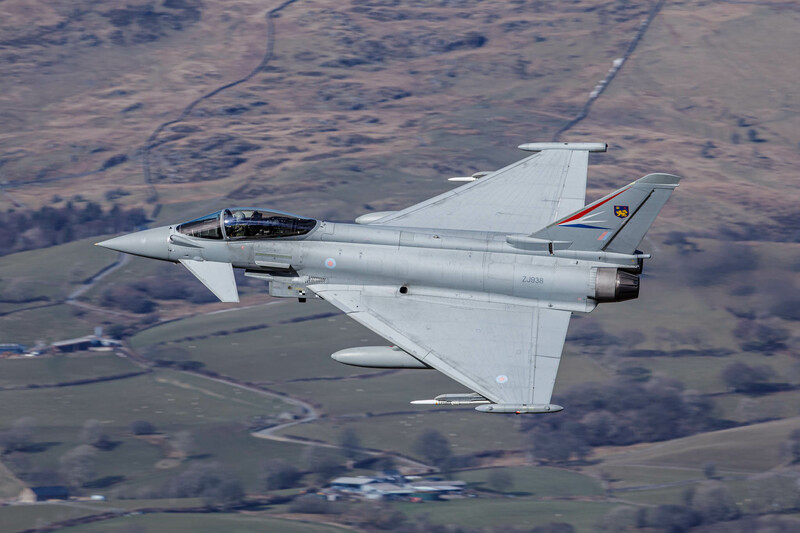 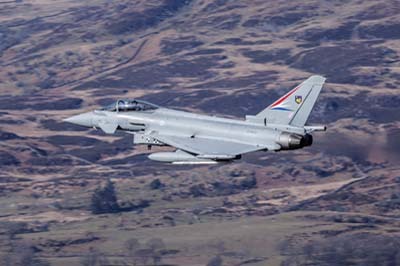 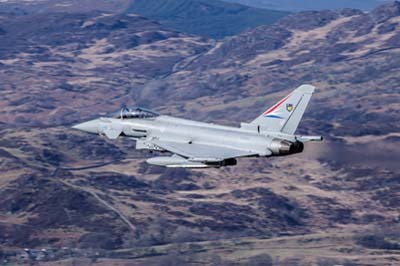 Left to right: Typhoon FGR.4 (ZJ938) IPA 6 BAE Systems test aircraft using callsign 'Warton 05'. 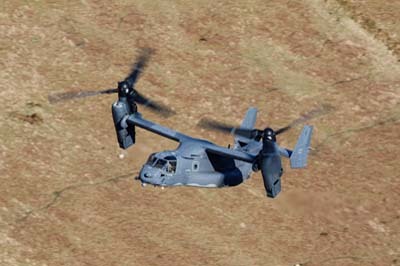 Left to right: Bell CV-22B Osprey (11-0061) using callsign 'Knife 72' from the 7th Special Operations Squadron based at RAF Mildenhall. 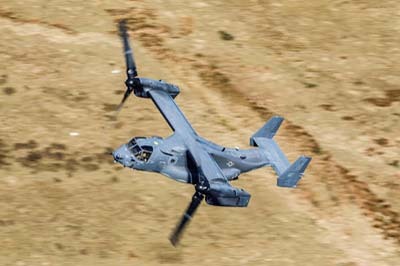 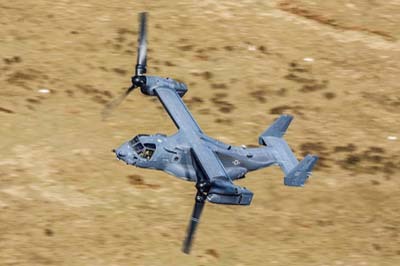 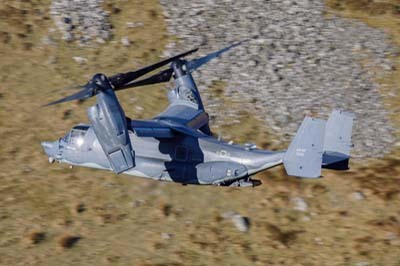 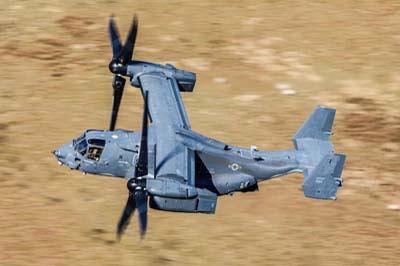 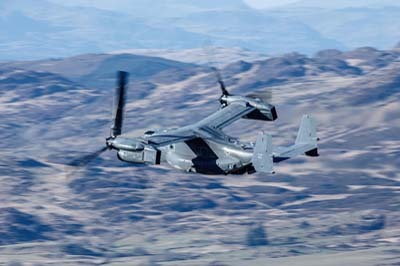 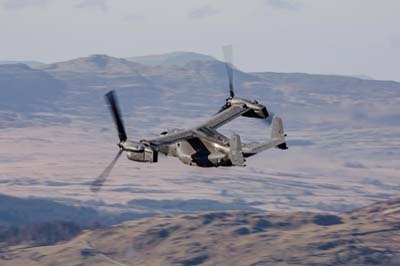 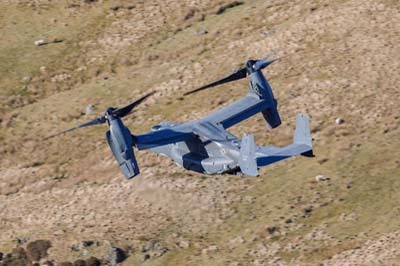 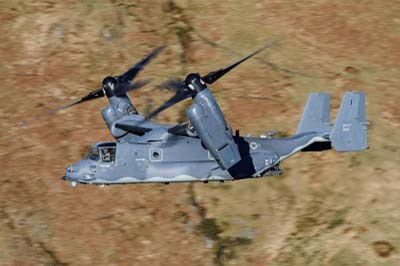 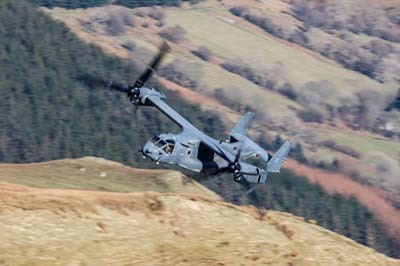 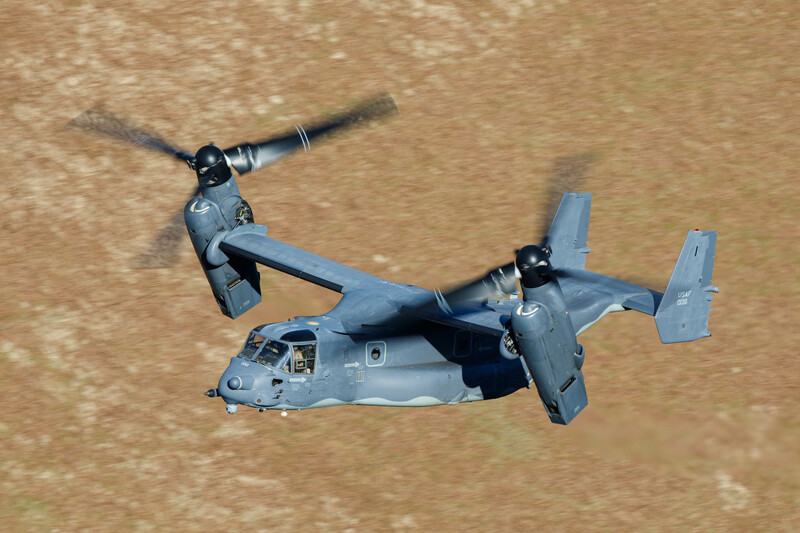 LLeft to right: Bell CV-22B Osprey (11-0061) using callsign 'Knife 72' from the 7th Special Operations Squadron based at RAF Mildenhall. 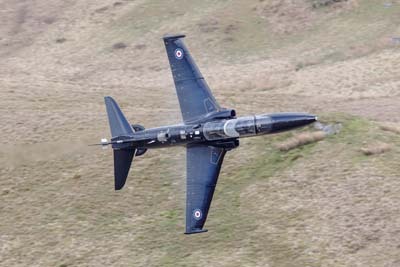 Left to right: Hawk T.2 (ZK027 'R') of 4 Squadron. 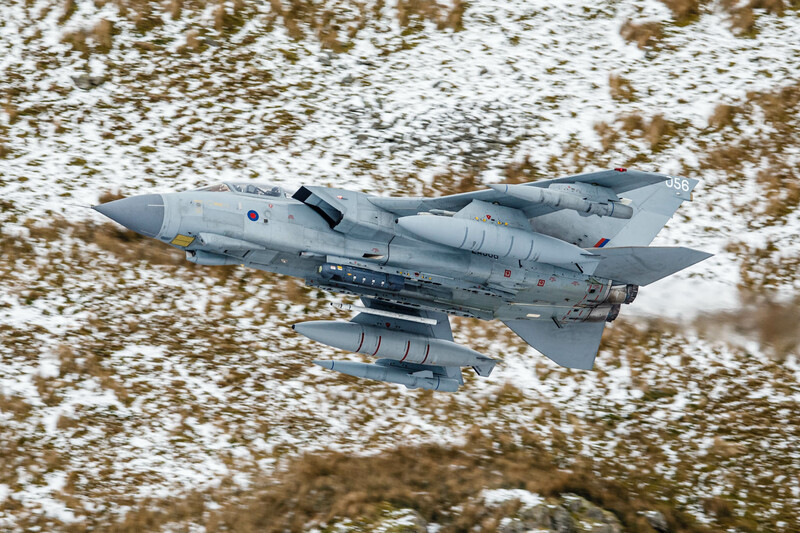 Thursday February 22, 2018 Cold, dull and windy on the Spur today. 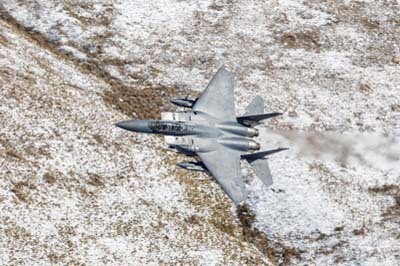 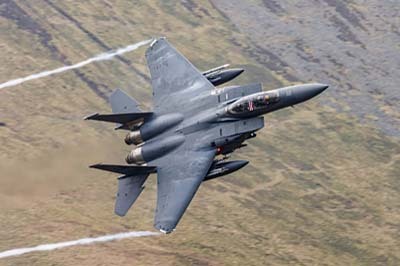 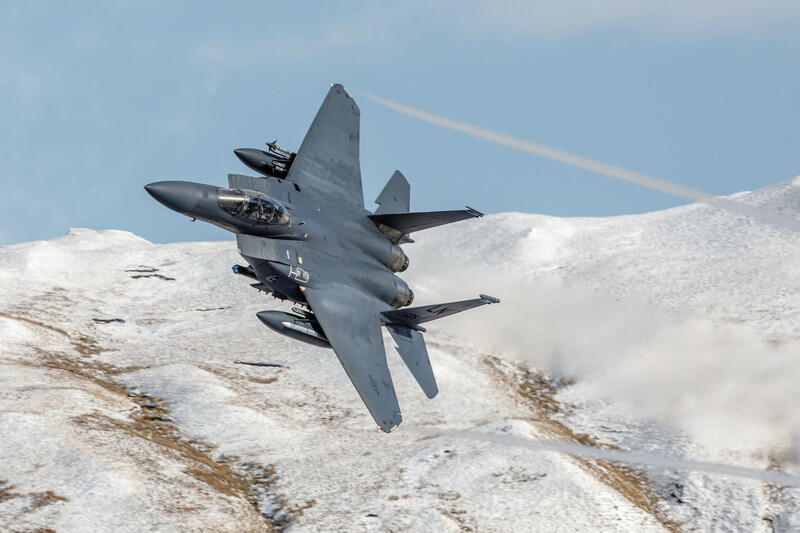 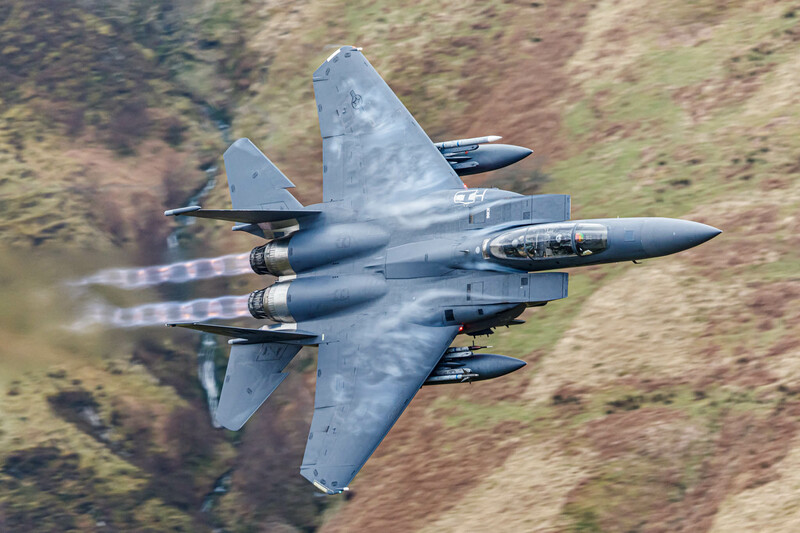 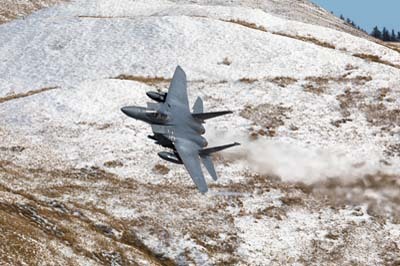 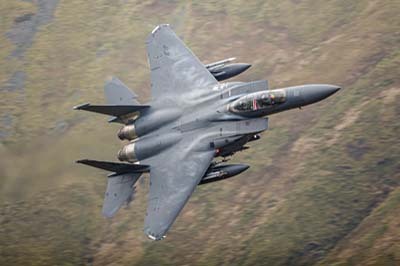 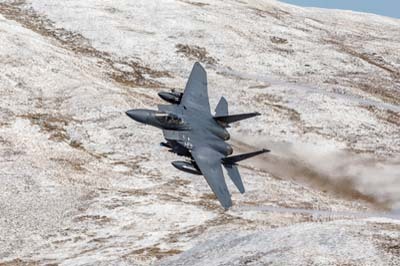 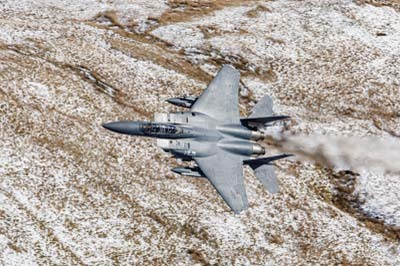 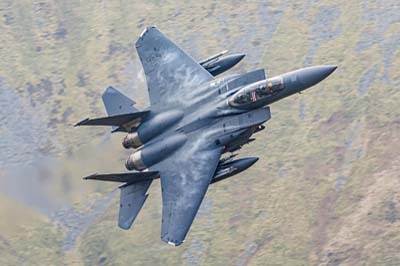 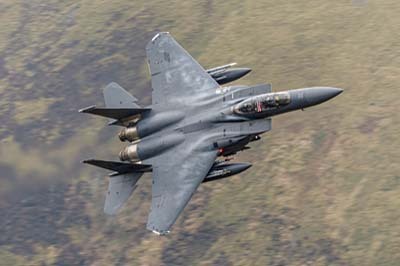 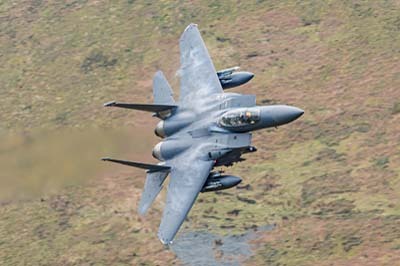 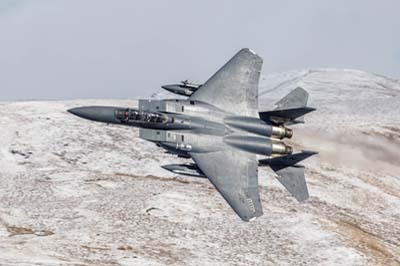 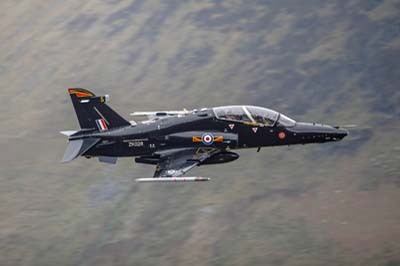 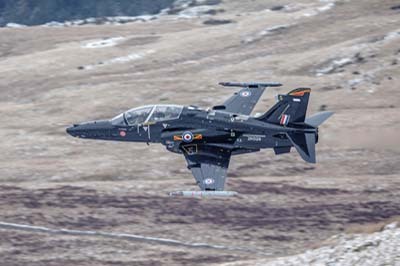 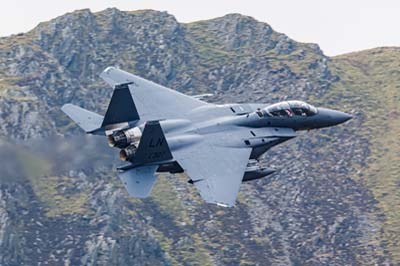 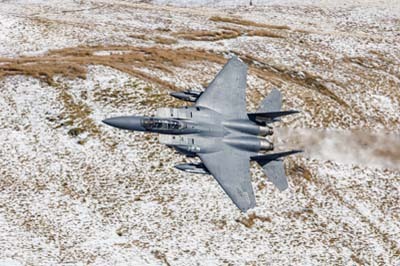 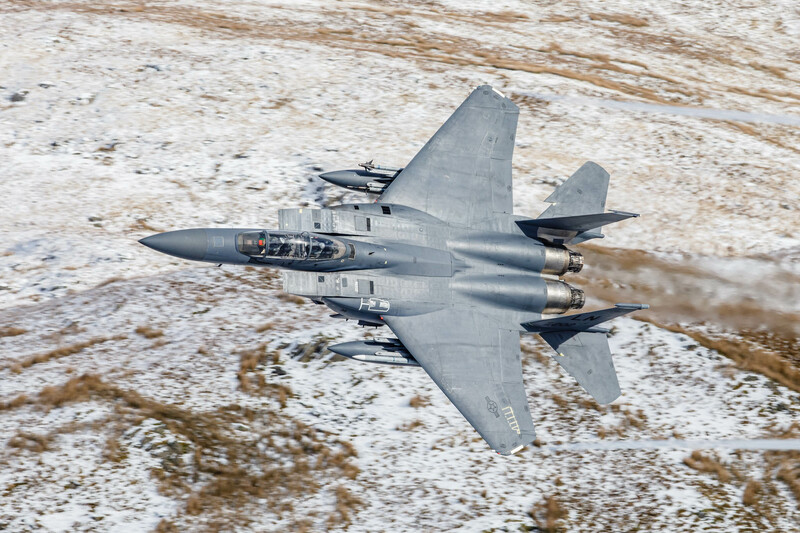 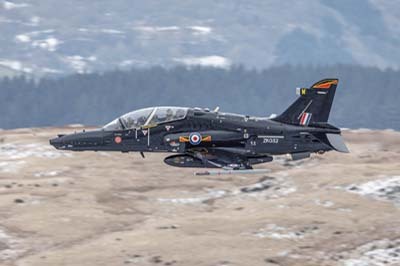 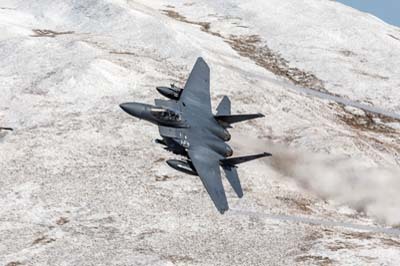 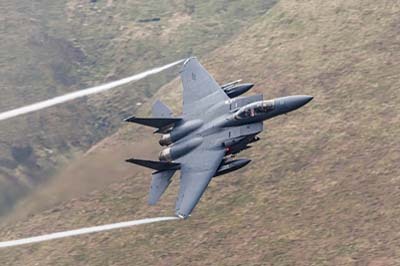 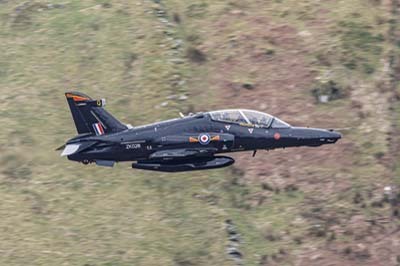 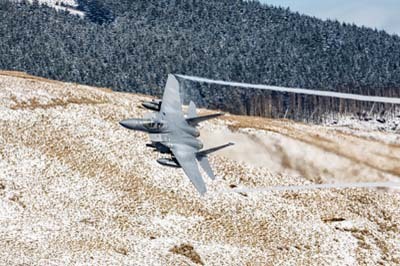 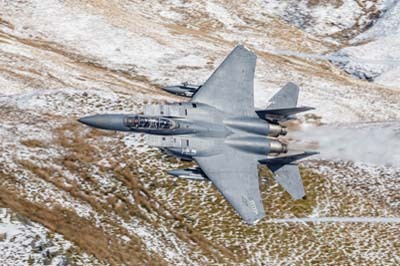 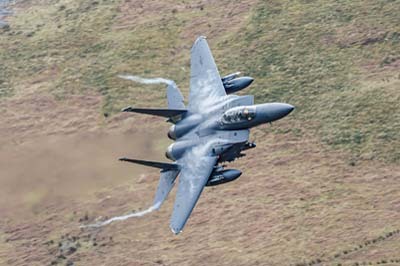 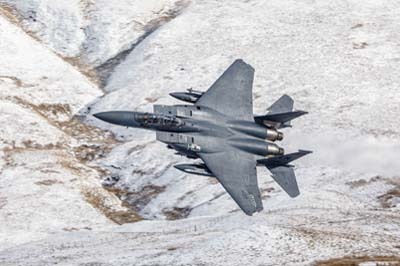 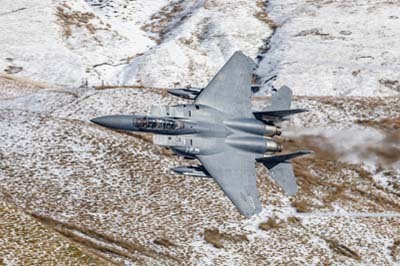 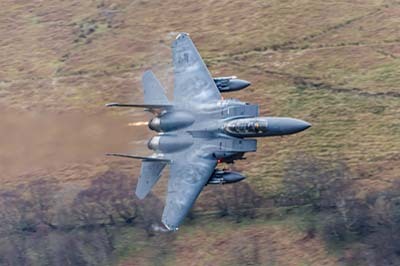 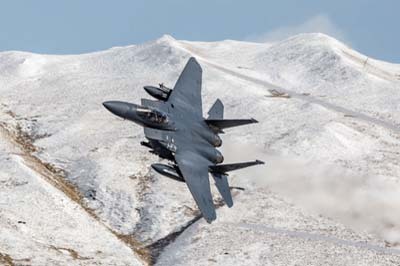 The pair of Strike Eagles with the same crews flew the same mission to Wales morning and afternoon. 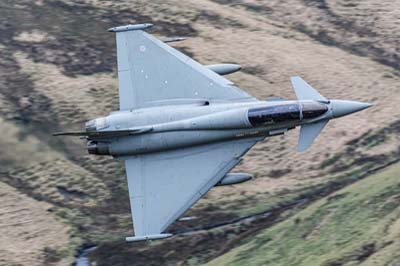 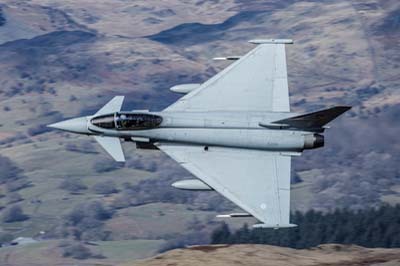 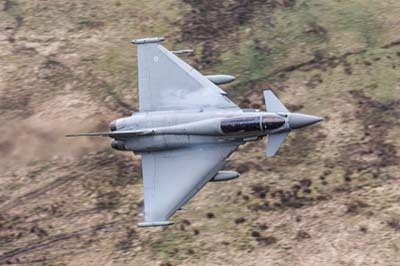 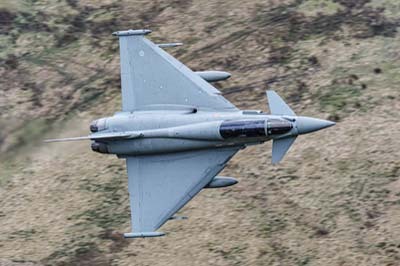 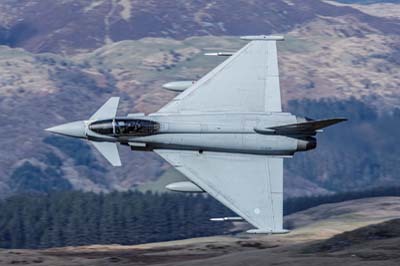 The Typhoon pair of two-seats were both flown solo. 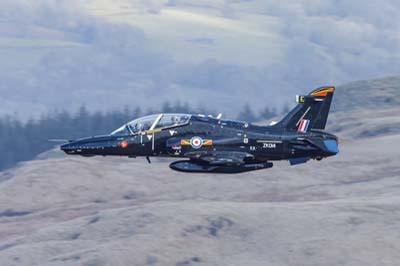 Left to right: Hawk T.2s (ZK028 'S' and ZK030 'U') of 4(R) Squadron. 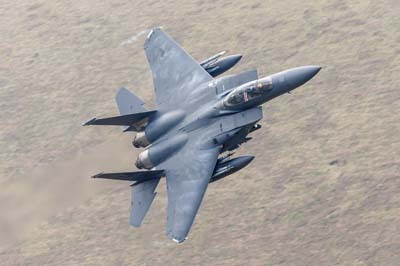 Left to right: F-15E Strike Eagle (98-131 'LN and 91-327 'LN'') callsign 'Roar Flight' in the colours (blue fin tip) of 492 FS, 48 FW. 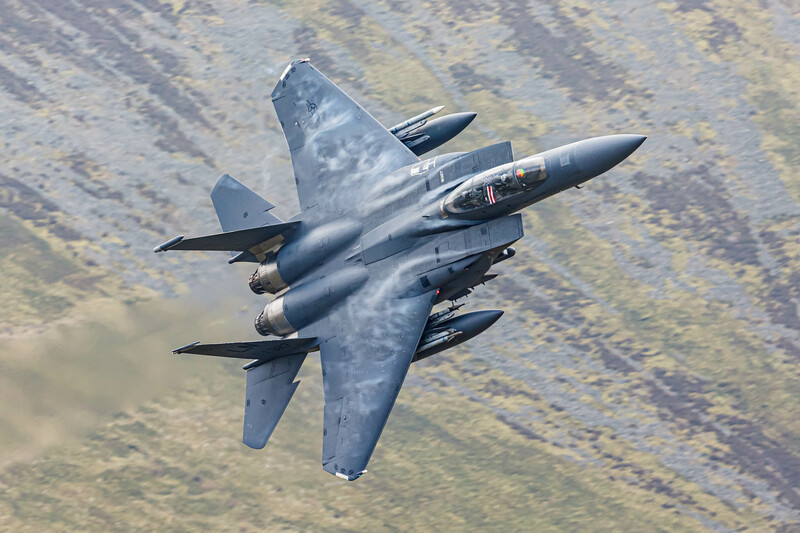 Left to right: F-15E Strike Eagle (98-131 'LN') callsign 'Roar 11' in the colours (blue fin tip) of 492 FS, 48 FW. 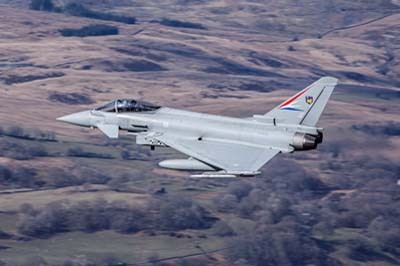 Left to right: Typhoon T.3 (ZJ814 '814') using callsign 'Triplex Flight' is with 29(R) Squadron. 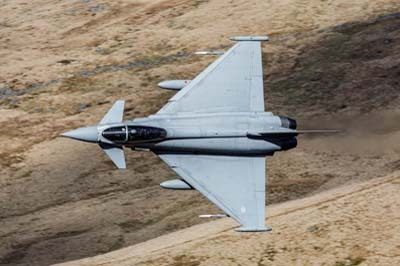 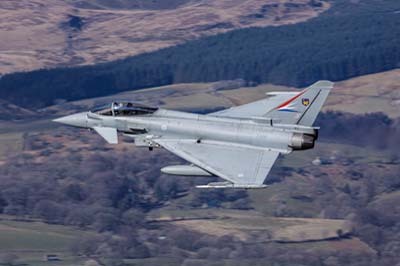 Left to right: Typhoon T.3 (ZJ812 '812') using callsign 'Triplex Flight' is with 29(R) Squadron. 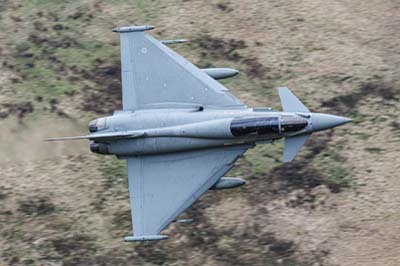 Typhoon T.3 (ZJ812 '812') using callsign 'Triplex Flight' is with 29(R) Squadron. 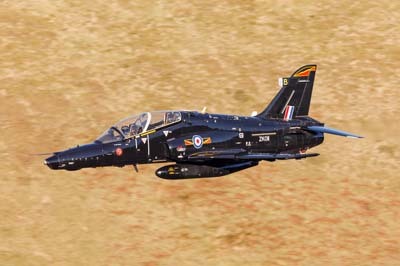 Left to right: Hawk T.2s (ZK026 'Q' and ZK017 'H') of 4(R) Squadron. 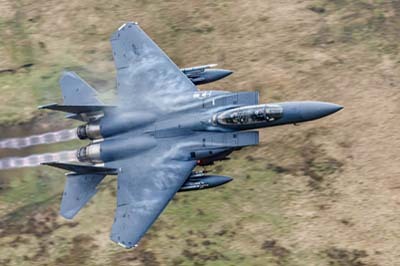 Left to right: F-15E Strike Eagle (91-327 'LN') callsign 'Roar 12' in the colours (blue fin tip) of 492 FS, 48 FW. 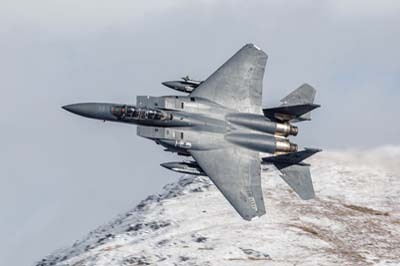 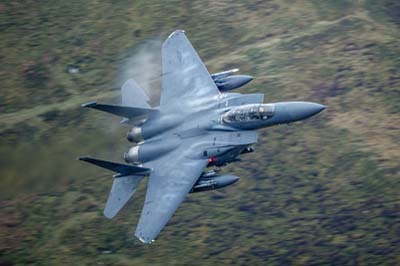 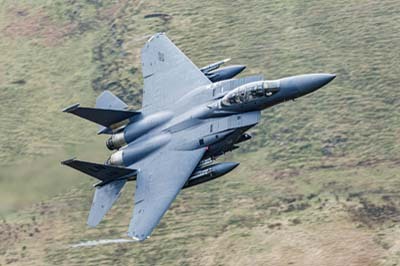 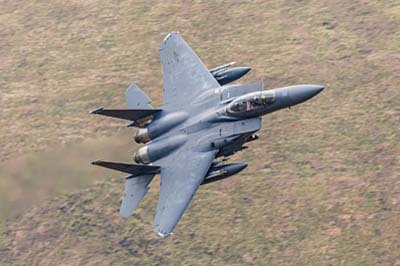 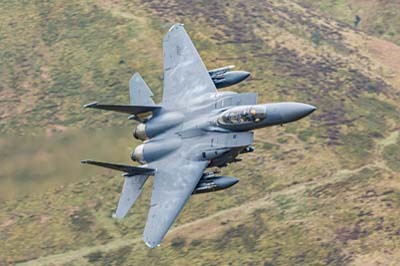 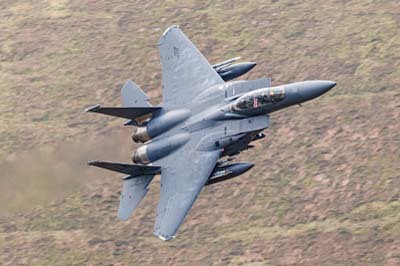 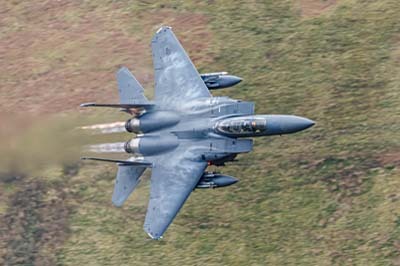 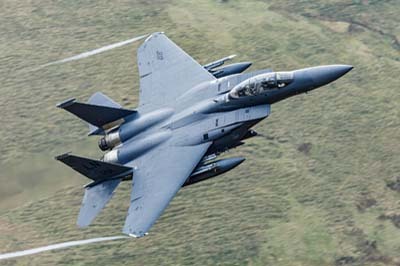 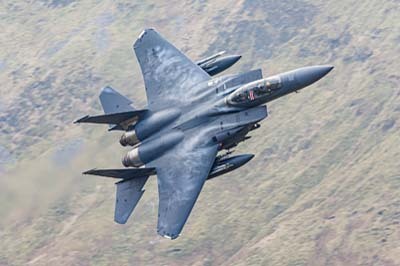 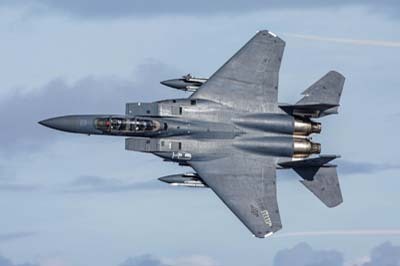 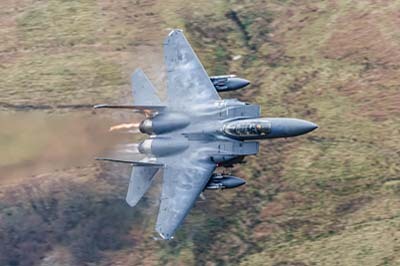 F-15E Strike Eagle (91-327 'LN') callsign 'Roar 12' in the colours (blue fin tip) of 492 FS, 48 FW complete with United States flag on display in cockpit. 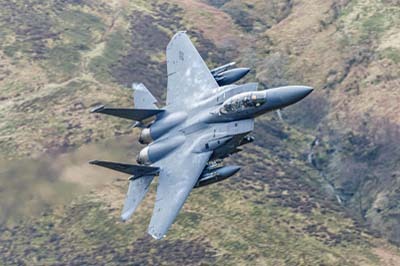 Left to right: F-15E Strike Eagle (98-131 'LN') callsign 'Roar 11' in the colours (blue fin tip) of 492 FS. 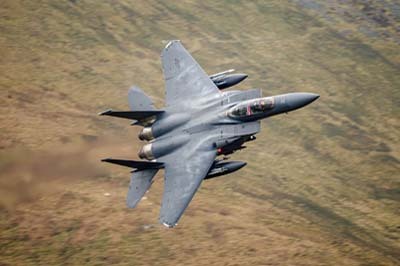 Left to right: F-15E Strike Eagle (91-327 'LN') callsign 'Roar 12' in the colours (blue fin tip) of 492 FS. 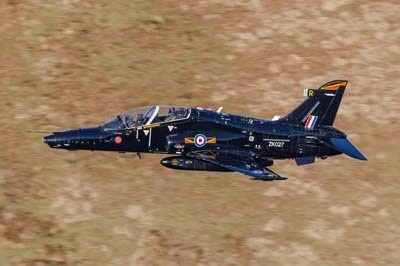 Left to right: Hawk T.2 (ZK028 'S') of 4(R) Squadron. 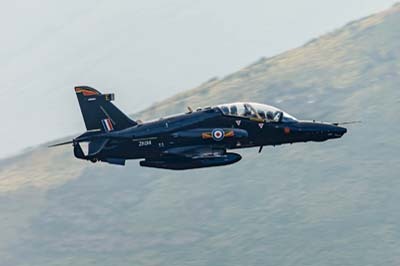 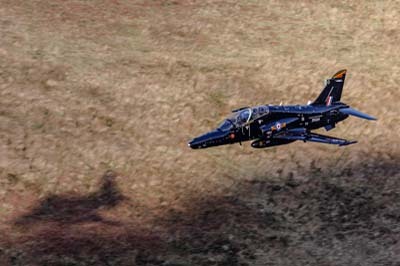 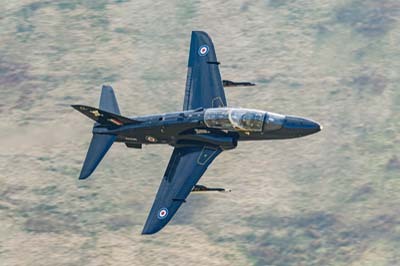 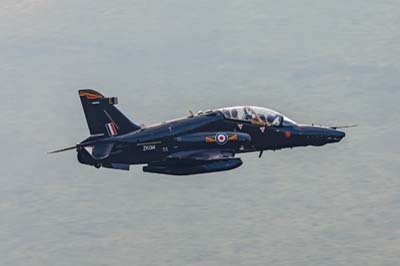 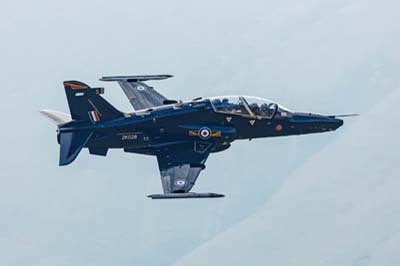 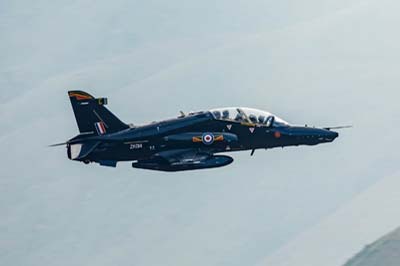 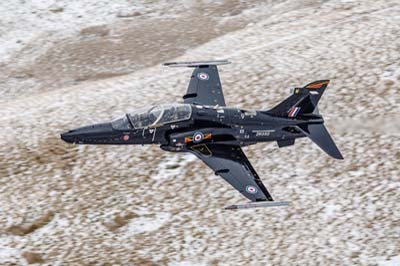 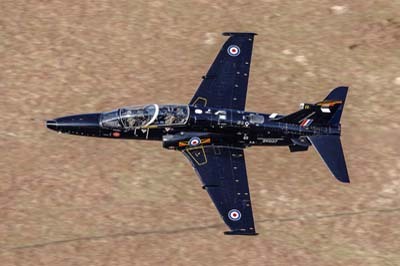 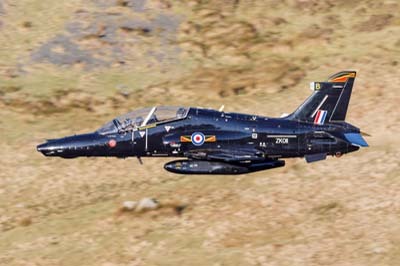 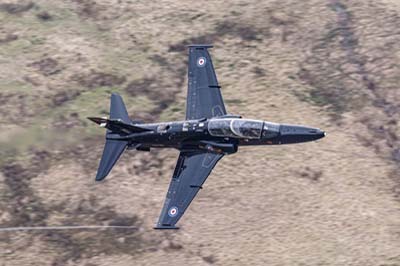 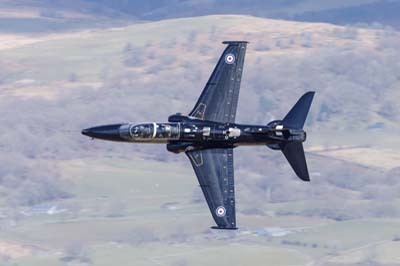 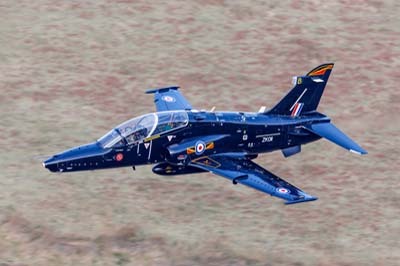 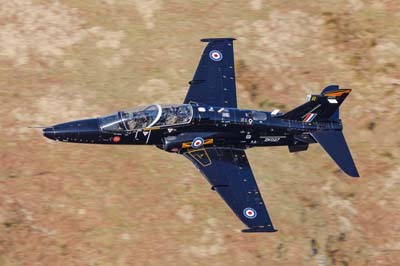 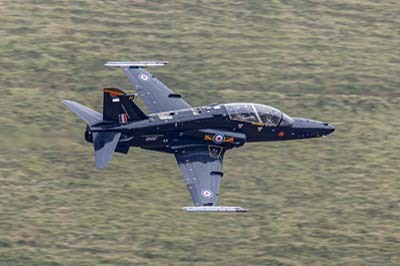 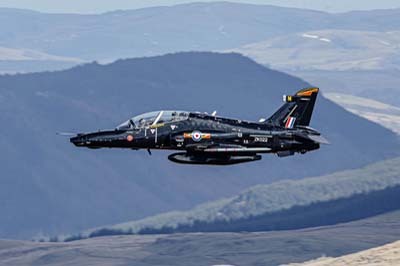 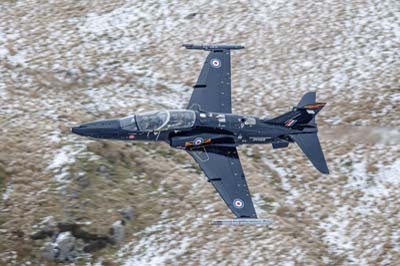 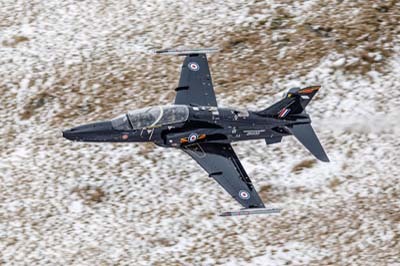 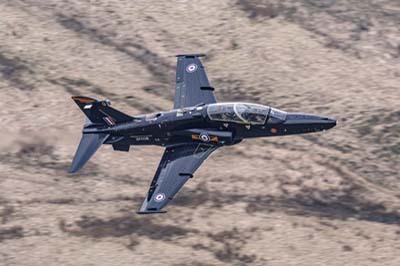 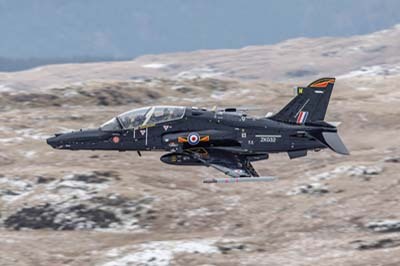 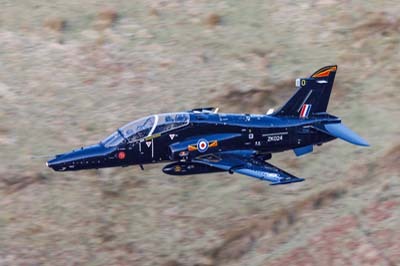 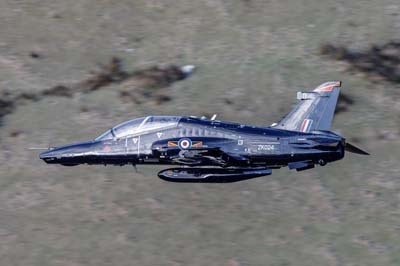 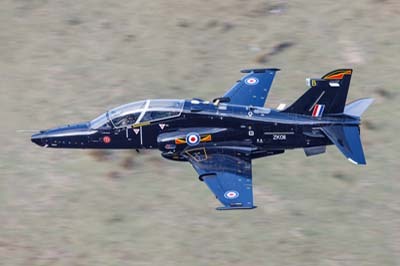 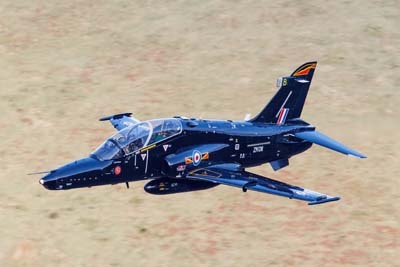 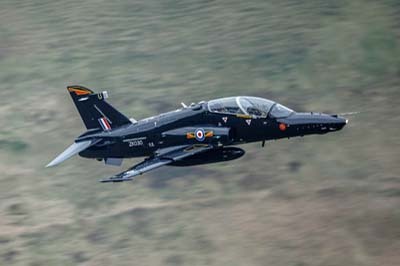 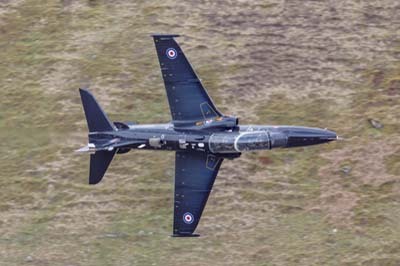 Left to right: Hawk T.1 (XX339 'CL') of 100 Squadron. 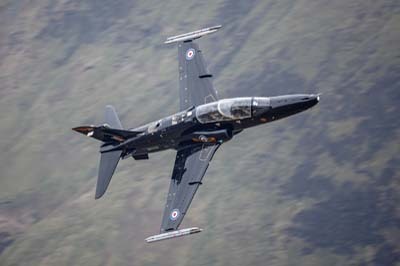 Left to right: Hawk T.2 (ZK014 'E') of 4(R) Squadron. 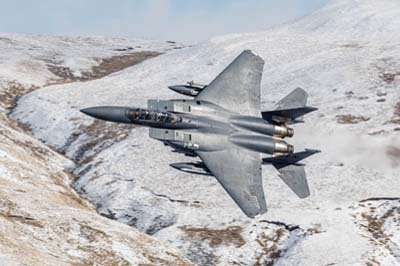 Wednesday February 7, 2018 Even though it was around freezing point it was a beautiful day on the Exit until the high cloud closed in, with two Strike Eagles, two Hawks and eventually a Tornado. 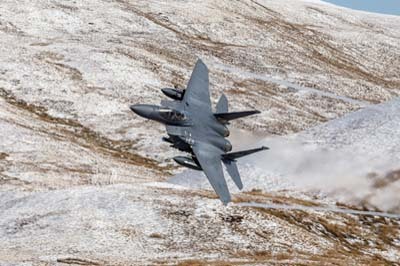 Left to right: F-15E Strike Eagle (91-605 'LN') callsign 'Eagle 32' in the colours (blue fin tip) of 492 FS, 48 FW. 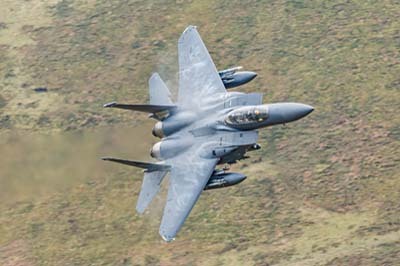 Left to right: F-15E Strike Eagle (96-202 'LN') callsign 'Eagle 31' in the colours (blue fin tip) of 492 FS, 48 FW. 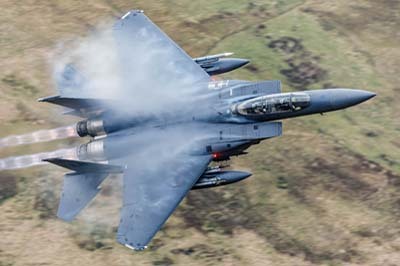 F-15E Strike Eagle (96-202 'LN') callsign 'Eagle 31' in the colours (blue fin tip) of 492 FS, 48 FW. 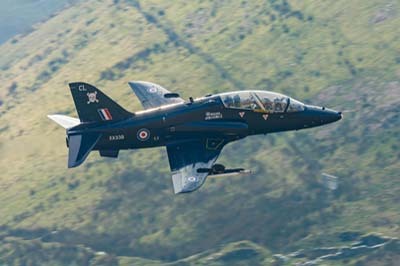 Left to right: Hawk T.2 (ZK032 'W') of 4(R) Squadron. 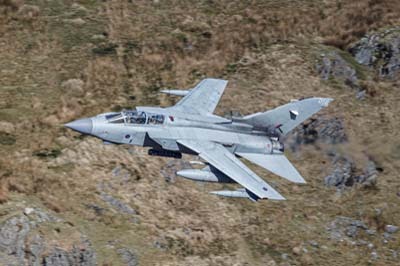 Left to right: Tornado GR.4 (ZA588 '056') callsign 'Primus 01'. 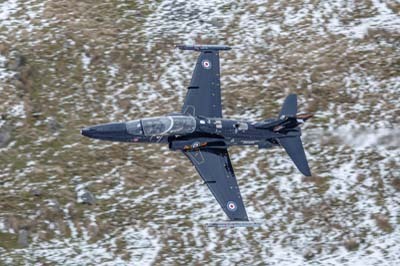 Monday January 8, 2018 Three Hawk passes through Cad East today. 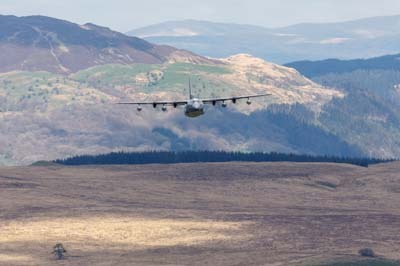 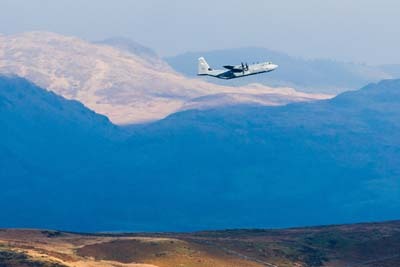 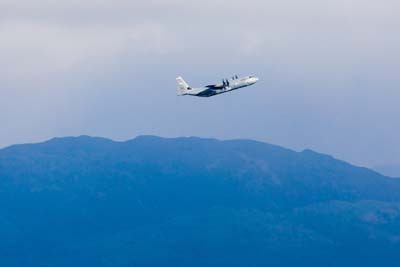 In the distance two USAFE C-130J Hercules flying direct from Ramstein, Germany to utilise the UKLFS. 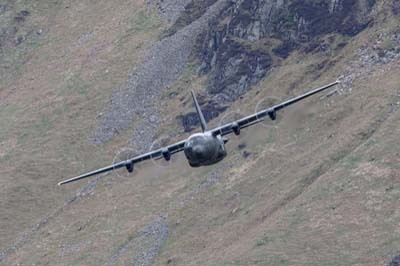 Unfortunately as the cloud descended they were forced to pull out of low-level before they could enter the Loop. 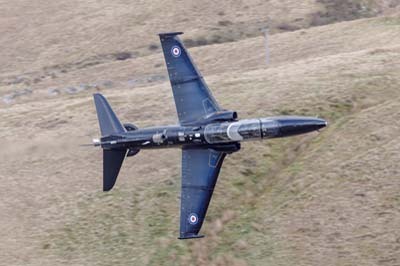 Left to right: Hawk T.2 (ZK011 'B') of 4(R) Squadron. 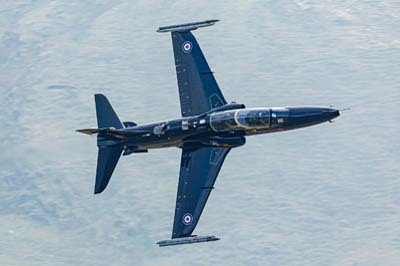 Left to right: Hawk T.2 (ZK024 'O') of 4(R) Squadron. 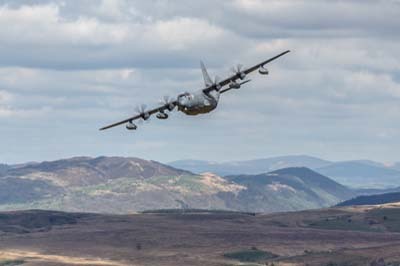 Left to right: A pair of C-130J Hercules (15-5831 'RS' and 08-8601 'RS') callsign 'Herky 71' and 'Herky 72' with the 37th AS, 86th AW based at Ramstein, Germany.